Pick your favorite yarn and wrap yourself up in this extremely versatile garment. 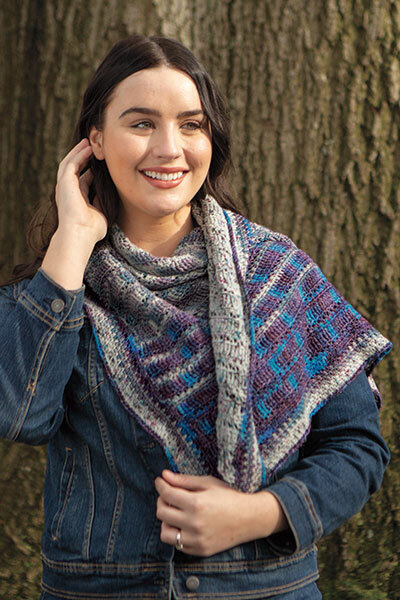 The shape combines the best parts of a shawl with the wearability of a vest. Worn open, the wrap covers your arms and back without falling off the shoulders. Pin it in front to create a very flattering and romantic collared vest. Even try it under a jacket. With so many ways to wear it, this wrap will always be in demand! Just finished and I love this wrap knit in city tweed! Very easy pattern.